Yes, this is what I need: “Self-Publishing On Amazon Createspace – The Good, The Bad and The Ugly“. Holy crap – that’s not a lot of earnings! So what about other options? There’s Ingram Spark, and the reviews are good too. So it’s starting to sink in that although I’m not expecting to make money off of this, I’ll be making much less than I thought. Here’s the createspace breakdown. So here are my two options according to suggestions I’ve read so far: createspace and Ingram Spark – surprice! Yes, there are many other options but I want good distributors, and those two are it, it seems. Now I’m going to take the next natural step – I’m going to sleep on it. 10/3/2015 Saturday Morning – coffee mug in hand! Can I publish a book in print with Ingram Spark if it’s already available as an eBook with Amazon Kindle? So I left this hanging after I wrote to Ingram Spark to find out if there were any conflicts with my book already being published in kindle form. No answer yet. What to do? Pretend it’s all well and find out in due time? I need to check out the specs so I can format my document in InDesign, where the picky graphic designer within me can gain full control of the layout before saving it as a press quality print PDF and send it off to the press. 10/9/2015 – Still no reply! 10/17/2015 – Nocs in print – what size? Now you can see that a page number isn’t a very reliable source when telling the length of a book. Here are Ingram Spark’s listed available print sizes. Judging by my list of books and considering their physical thickness as well, Nocs, and the sequel, who are both in the 80,000 word count range, would be too thick and require too small of a print for a 4″ x 7″ size pocket book. I’m thinking 5″ x 8″ will do the trick – look good, have legible text that isn’t too condensed, and allow for good size margins. Next step: look up specs and set up my InDesign document. 10/25/2015 – It’s been done! 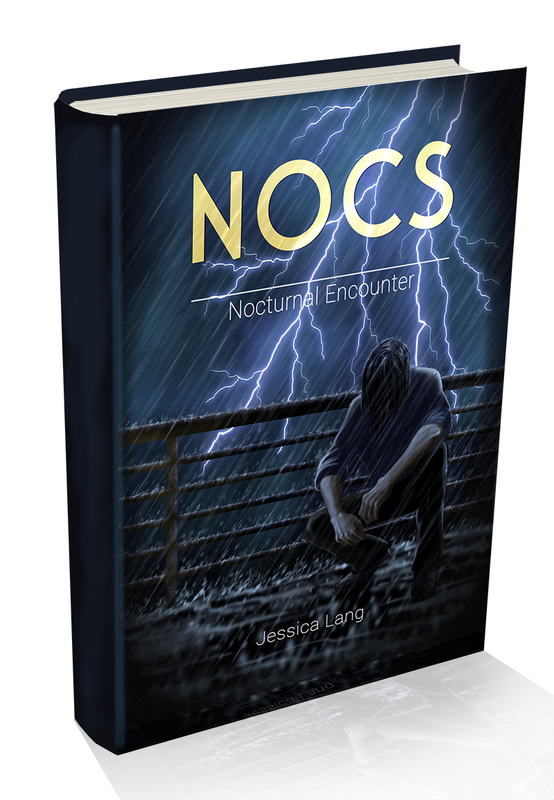 Finally – the files have been submitted to Ingram Sparks, and I set the date for Nocs to be available on November 7. Sort of random, I know, but despite being a graphic artist I had some trouble shooting and moved the date up. The submissions kept getting refused due to the documents including transparency, which wasn’t true, and which is why the PDF setting to flatten any transparency wasn’t available. There was no transparency in my InDesign documents, but it did link to Photoshop, vector and PNG files. I take it either the alpha channel (transparency channel) was causing the extra confusion, or the fact that I forgot to change the color mode to CMYK from RGB. Either way, it’s been fixed and I can now move on to getting the sequel published on Kindle. I ordered my first copy, and we’ll see how it turned out. It’s been a while because it took a while, to re-upload a new file and finally have it apply. I don’t think I can recommend Ingram Sparks. There’s no communication – you’re on your own. But – the book is available in hard copy here! 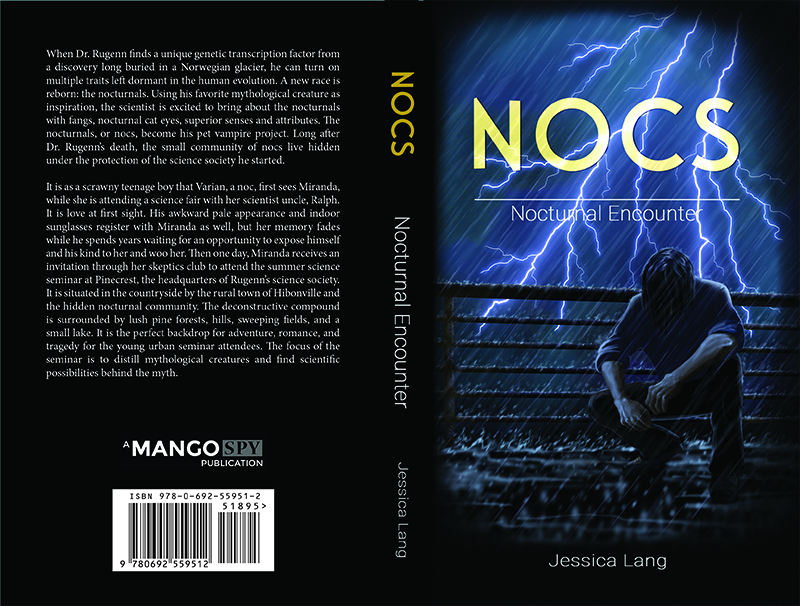 This entry was posted in Nocturnal Encounter and tagged createspace, Ingram Spark, self-publishing. Bookmark the permalink.